MW transmitter under constuction in May 2004. It was first time in use Finnish Ham Summer Camp 2004. 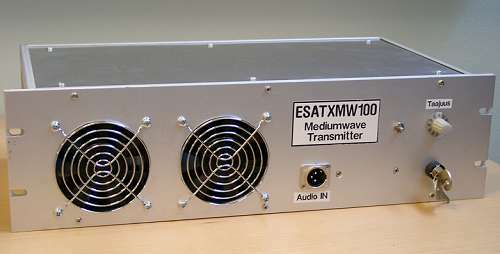 Behind transmitter there are test equipments, i.e. 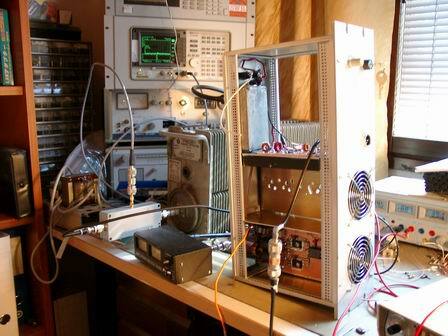 1kw dummy load, directional coupler and spectrume analysator. 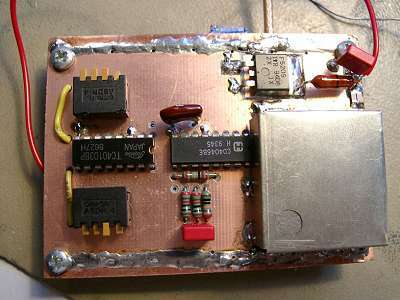 PLL oscillator bases schematics from Medium Wave Alliance webpages. 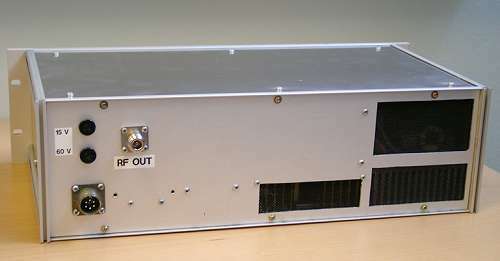 It was used by CMOS circuits 4060, 4046 and 40103. PLL covers MW band totally. Fairly old-fashioned connection but it still works. Reference PLL crystal is ovened to reach sufficed frequency stability.